Replacing Jeremy Clarkson-a lesson in recruitment. 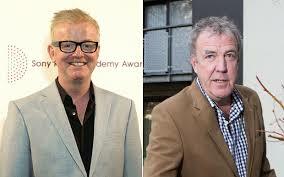 Since March this year, the papers have been filled with the fall out of “that punch” and subsequently who would replace Jeremy Clarkson on the popular Sunday evening motoring show. I’m not that bothered personally, but I think there are things all organisations could learn from the way the BBC have gone about it from a recruitment perspective. They have shown a real sense for understanding their customer needs, their business needs (or in this case, the requirements of the show) and a firm grip on culture, values and direction of where they want to go. The success of the show has been mainly down to the personalities who present it and their chemistry. With that in mind, it would be easy to try and find like for like. Sometimes that is the right choice, sometimes not and in this case, it is definately not the right choice. People have grown up with Jeremy Clarkson and there would be an inevitable backlash if you tried to just “replace him”. The closest you could get to that would be appointing someone like Piers Morgan (old, unpopular and popular in equal measure, opinionated and confrontational). But he lacks many of the other facets needed for the role so is a quick rejection. Another element of the show is obviously the encyclopedic knowledge of cars, a passion for the apparent beauty, smell and noise of all things with an engine and four wheels. So people throw the name Guy Martin, the very northern TT Racer, in the mix. He has made some enjoyable Channel 4 programmes, and knows his engines, but is he really a creative and confident presenter with a strong enough character (and fan base) to replace someone like Clarkson? No pile for him. Then there is the “petrolhead” aspect of the role. Hence the names Steve Coogan and JK are thrown into the pot. But both of these people are popular amongst the viewers, but just tick that box, and don’t have the other strings to their bow. As much as I would love to see Alan Partridge take the helm, it just wouldn’t work. Many people made comments that you have to go in a completely different direction as you can’t recreate the show without those personalities and to a certain extent they are right. So what is the opposite to a chauvinistic, untrendy old ugly man?? A female supermodel. Enter Jodie Kidd. She also has pedigree in presenting a competing show and loves cars. She may still make the cut, but I don’t think she would ever have the strength of personality to run the show. The final question was whether to replace him at all. Why not just save money and make do with the other two? Okay so they took themselves out of the mix, but even that wouldn’t have worked. Their strength was their dynamic, but also Clarksons creative input, his production experience as well as his divisive character which even if you didn’t like him, you were still intrigued as to what dross he would come out with next! So the news out this week is that Chris Evans has got the job and I think it is a great appointment. He has the strength of personality, he has pedigree, he has the creative and production track record and he loves cars. The key is that he is also very different to Clarkson in many ways, but there is enough similarity there for the programme will likely keep its current fan base, but probably add more. Additionally, Chris has previous experience in stepping into well worn shoes (i.e. Terry Wogans breakfast show) and making them fit. So he should hopefully build on the legacy left by Clarkson, rather than just try to re-do what Clarkson has done for so many years. So what does this teach us about recruitment? What can we take away and apply for our next appointment? 1. Know what made the previous employee great. 2. Know what you would have liked to have improved on the previous employee. 3. Know what your business needs to move forward and what the next person needs to bring to the table to make that happen. 4. Know what your customer base expects. 5. Take note of other opinions, but don’t make decisions solely on them- only you know the answers to the above points. And most importantly, don’t just dust off the old JD and say, “get me another one of them”. Each piece of recruitment is an opportunity to evolve, to get better and drive your business forward. 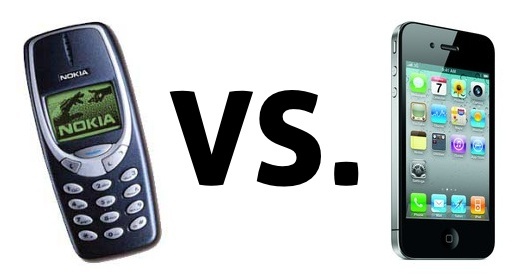 Think of your mobile phone- when its time to upgrade, do you ask for another Nokia 3210 or do you want the iphone 6? Previous Previous post: Will technology wipe out recruitment?